DG Hair Artistry LLC. Glam Squad is a team of licensed and certified hair and makeup artists! 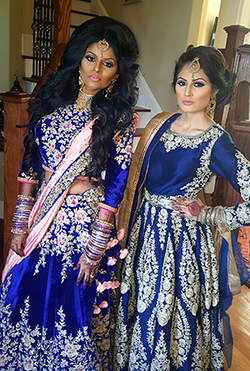 Founded by Denise Gober in 2013, we specialize in South Asian bridal, and special occasions. We provide on location hair and makeup services throughout the southern states. We offer a wide variety of services and can accommodate large parties. The Glam Squad is a highly sought after team and extremely talented ladies! We pride ourselves in delivering exceptional quality work for our brides, bridal parties, and their families!